Jane has been an artist for 25 years. She works from her studio at Toi Poneke Arts Centre Wellington. Primarily landscape and still life, her work is full of colour in the fauvist style. She has exhibited at many solo exhibitions in New Zealand and overseas including a solo exhibition at New Zealand House, London. Her published artist books are held at The National Library, Wellington and her artworks are in public and private collectons. 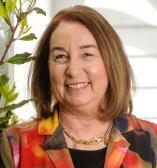 Jane has a graduate Diploma in Fine Arts from Massey University and a teaching qualification. She has been a teacher in adult education for over 20 years.